‘Cuphead’, A Unique New Game Based Off of Cartoons From the 1930’s! 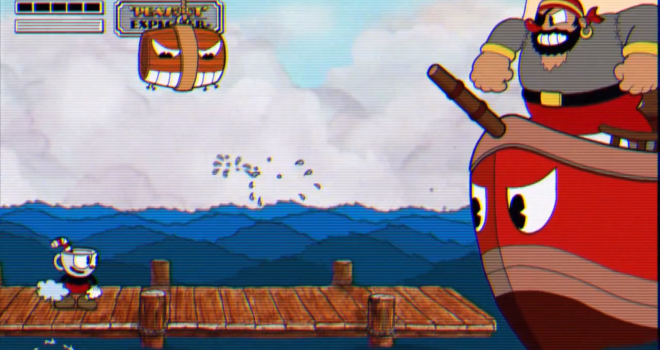 A new game development studio called “StudioMDHR” is working on a unique title called ‘Cuphead’. It has a very cartoony art style which looks to be taking inspiration from the very old Disney/Mickey Mouse cartoons (and cartoons from the 30’s in general). The style of gameplay is said to be a sidescrolling shooter, similar to games such as Gunstar Heroes, Contra and Megaman X, and will feature special suits that give different abilities and platforming concepts not normally seen in a “run-and-gun” styled game. Developer has stated that their main priority is to release the game on PC and then down the road hopefully release on consoles, (PS4 & Xbox One) and is set to launch sometime this year. To see a few glimpses of the game in action, check out their official website here. Also for more information and updates, here is the company’s official website. Personally, I’m quite looking forward to seeing how this turns out! Being a cartoonist myself, I’ve always been intrigued by unique animated artstyles in a game. This definitely looks like something I can get into!